As we move into mid close-season, Sara Loewenthal gives the lowdown on what’s been happening in and around Griffin Park over the last few weeks in the Brentford Buzz. Âge Hareide’s squad had been announced on Sunday with Brentford right back Henrik Dalsgaard making the cut. However, there was no place for Bjelland. Bjelland hit back stating that his training was going as planned. “According to the plan that was laid, I should not have fully trained already on Sunday. The plan was that I only had to train this week. So much more, I am surprised that someone has reported to Åge that I would not be ready until 16 June. I’m even of the opinion that I would be 100 percent ready for the first match on June 16, if I followed the plan that was originally laid. 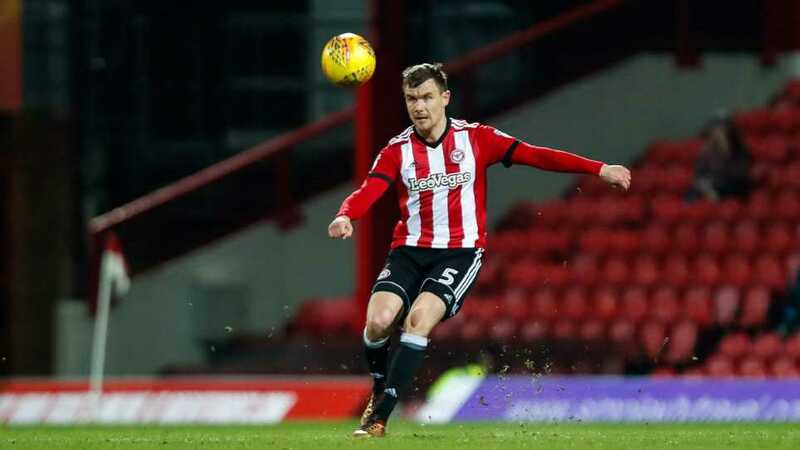 Bjelland’s contract with Brentford expires on the 30thof June and he inferred that he will be looking for a new club. “Now life goes on and I’m happy to be left with my family and the opportunity for a good holiday. I am looking forward to finding a new club and looking forward to seeing what the future brings. Over in Dublin, Alan Judge came off the bench in his third match for Ireland scoring his first senior international goal as Ireland beat USA 2-1 at The Aviva Stadium. As the game moved into extra time, Judge bravely poached the ball off his teammate James McClean to score a belter and send the crowd into raptures. His celebration (below) showed just how much it meant for him after recovering from a horrendous leg break in a match against Ipswich over 2 years ago. Brentford have confirmed the transfer of Konstantin Kerschbaumer to Bundesliga 2 side FC Ingolstadt 04. This transfer follows the departure of Zain Westbrooke to Coventry and the release of five other B team players including Bradley Clayton and Herson Rodrigues Alves earlier in May. The former Austrian U19 International midfielder signed from FC Admira Wacker Mödling at the start of the 15/16 season. He made 52 appearances for the Bees scoring 1 goal (the 3-3 draw with Brighton) and providing 12 assists. He spent the whole of the 17/18 season on loan at DSC Arminia Bielefeld where he scored 8 goals and had 6 assists from 31 games. We wish him well for the future. The EFL has published the results of their ‘Safe Standing’ survey (now called Stand Up For Choice) showing overwhelming support from fans to be given an option on whether they want to sit or stand. The survey, which was taken by over 30,000, showed 94% in favour of a choice to sit or stand at football. In a BBC article, the EFL said the survey “will inform this month’s debate in Parliament”. The Parliamentary debate will take place on the 25thof June after an online petition received over 110,000 signatures. Run by the EFL in conjunction with the FSF (Football Supporters’ Federation), Brentford supporter Gemma Teale from BIAS was recently featured in an article on the EFL website in which she extolls the virtues of standing on the Ealing Road terrace. As a co-founder of Brentford’s LGBT fan group LGBeeTs , Gemma countered the suggestion by one MP that standing would damage the progress made in diversity and inclusivity at football. “It’s the biggest load of nonsense I have ever heard in my life. Just because someone is standing at an event doesn’t mean homophobia is more likely to come out of their mouths. Discrimination happens in towns and cities across the country so using that as an argument against standing is bizarre. Brentford and Isleworth MP, Ruth Cadbury is backing the scheme and will be speaking at the parliament debate on the 25th. Meanwhile, her colleague, Shadow Sports Minister, Dr Rosena Allin-Khan, has created a survey in advance of the parliamentary debate and will be holding a consultation session at the Houses Of Parliament this week with fan groups – with Beesotted representing BIAS and Brentford FC in the meeting. With Brentford championing the standing cause – pushing the case for Lionel Road to become the first new-build stadium with a modern standing football section – it is hoped that common sense will prevail and Government will eventually allow local councils to decide whether their local clubs are suitably equipped to allow fans to stand in specifically licensed standing areas on a matchday. This week, the excellent Swiss Ramble blog posted a Twitter thread with details of The Bees’ financial results for the 16/17 season. The report shows the club’s losses for the season reducing significantly from £12.6m to £1m whilst revenue rose by £2.1m (around 30%) to £12.7m. More money was made from the latest Premier League TV deal, increasing broadcasting revenue from £2.3m to £7.2m. Various costs were cut including the wage bill, which went down by £2.9m, and the disbanding of the academy. A consequence of all of this is that Brentford very nearly broke-even last year, with their £1.0m loss bettered by only 5 Championship clubs – 3 of whom made profits below £4m. All encouraging signs for the future and the hope that this financial upturn can continue along with the longed-for promotion to the Premier League. Only this week it was announced that Aston Villa were in danger of being wound up after not paying an overdue tax bill. With rival clubs dicing with Financial Fair Play and rumours flying around that breaching FFP will produce tougher and swifter punishments, it’s even more important that Brentford is able to live within its means. Brentford have confirmed four pre-season friendlies for July. The first being a trip to National League side Boreham Wood on Friday the 6th of July, kick-off at 7.30pm. That will be followed two more away fixtures with League 1 sides. Brentford will play newly promoted Wycombe Wanderers (with former Bees midfielders, Sam Saunders and Marcus Bean in the squad) on Tuesday the 17th of July kick-off at 7.45pm. And Shrewsbury Town on the Saturday 21st of July, kick-off at 3.00 pm. They will then host Premier League Watford on Saturday the 28th of July at 3.00pm. This match could see the return of former Bees striker, Andre Gray to Griffin Park for the second time since his transfer to Burnley in 2015 and subsequent transfer to Watford at the start of last season. It’s expected that there will also be a match with a local German club at the end of the first team’s training camp around the weekend of Saturday 14th July in the Munich area but that has yet to be confirmed.